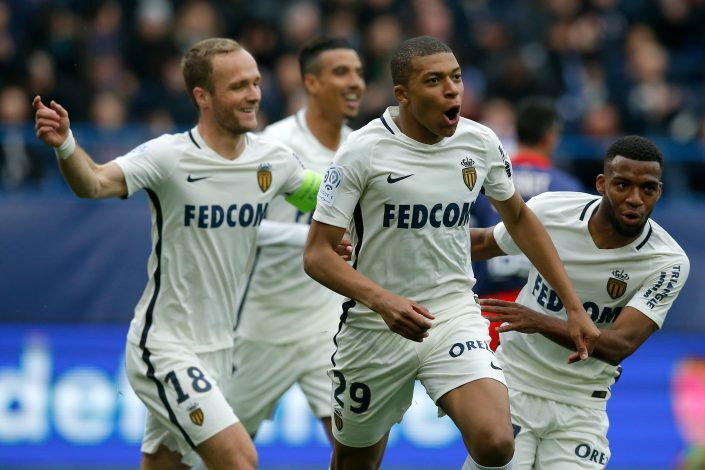 Arguably one of the hottest properties in world football, Kylian Mbappe has been surrounded by a lot of speculation regarding his immediate future, which currently remains uncertain. European giants, including Real Madrid, Manchester United, Arsenal, Manchester City, Liverpool and PSG have all been linked with transfer moves for the in-demand striker, with some of the interested parties having already made bids up to €130 million. But according to reports from Marca, the France international has made it very clear that he will only leave Monaco this summer if it’s to sign for Real Madrid. As claimed by the Spanish daily sport newspaper, the 18-year-old had a meeting with Monaco owner and president Dmitry Rybolovlev last Thursday to discuss his future. During the meeting in Palma de Mallorca, Mbappe said: “Real Madrid or no one,” making his intentions very clear. Los Blancos officials reportedly plan to sign him this summer, after previously considering allowing the 18-year-old one further year at the Stade Louis II to continue maturing. But after their superstar Cristiano Ronaldo stunned the world with his decision to leave Spain because of being charged with tax fraud, Mbappe’s arrival date to the Bernabeu may be moved forward by one year. Nonetheless, the Frenchman will come at a gigantic price tag of at least £87.4 million (€100m), a number that Real Madrid directors believe to be worth his potential, making him surpass Paul Pogba’s £89 million fee to become the world’s most expensive player.